Seeing as the OEM winter package is $495, I decided to skip that option and install $80 heated seats after the fact. Pads can be found in droves on eBay. Mine had a 5 position rotary dial and contained dual pads for each seat for toasty buns and a relaxed back. On the front of each seat, use the 9/32" socket to loosen then remove the wire connector. This is the connector for the airbag sensor, airbag, etc. Use care with this part and don't bend any pins. Carefully remove the seats. Take your time and make sure the brackets don't scratch up the dash. Make sure the steering wheel is fully telescoped in for more clearance. Remove the J-clips for the seat back's fabric, and pull it gently through the gap between the two seats. Turn the seat back over and slide your back pad into place. Replace the fabric and J-Clips. The dash of the focus is full of curves and creases, not much space for mounting additional switches. Plus, we'd probably have to take the dash apart to do it, and that's tricky at best and could leave to squeaks and rattles at worse. Instead, I chose to mount them on the plastic valance near the seat height adjuster on the seat. These are pretty big, full of empty space, and a pretty good place as your hand can fall naturally to the top where we'll mount the switch. Back in the car, it's time to run power. 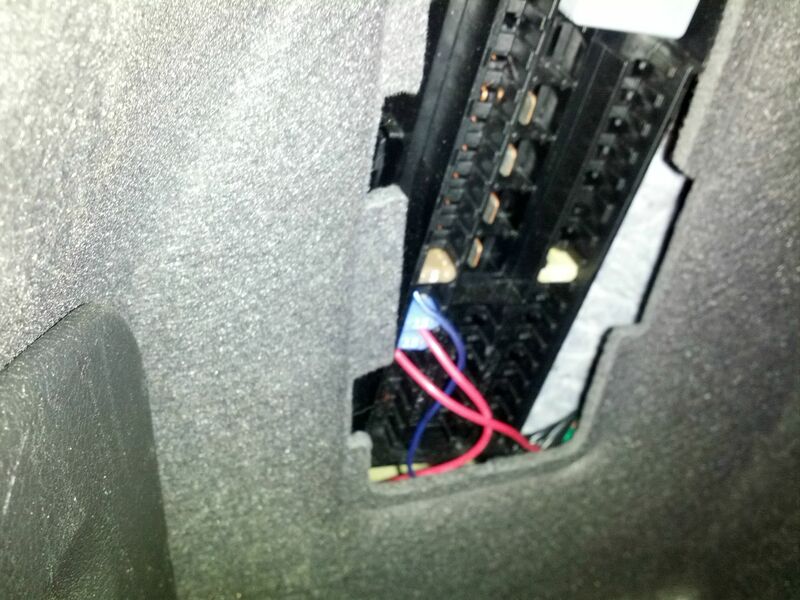 In my SE hatchback, there are two 15A fuses in the rear fuse panel. These were installed for OEM heated seats, even if they weren't installed. With you spool of wire, cut two lengths. 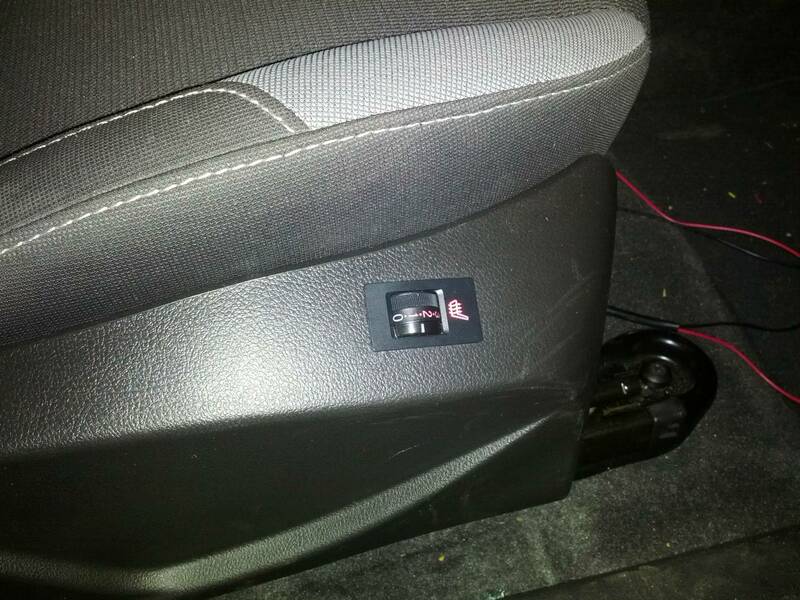 Start at the fuse box, run it along the door sill trim, and into the driver's side seat area. Do the same for the passenger side, cutting across the driver's side area, through the gap on the bottom of the center console. Before you reinstall the seats, use the Dremel with a sanding drum to clean the paint from around one of the bolts on each seat. We'll use them as a ground. Note that I have manual seats. Power seats may have wires or motors that would make my switch placement impossible. Look before to cut! Nice writeup!! I want to do this! If anyone is planning on doing this, please take the safe route and use something like this Add-A-Fuse from Amazon when you tap into the fusebox for power. Other than that, nice write up! Absolutely, sorry I missed that step. Tapping the fuses in this manner does NOT get you any circuit protection. Great Post ! I have leather but not the winter package w/ heated seats , I plan on doing this ! Did you score some OEM switches? If so do you have a part # and are they the same for the 2012? That looks great. I just got a focus as a commuter and miss my heated seats from my Jeep. I also saw on Ebay that they have a kit with set coolers in it too. I think I'm going to install that kit instead. I don't need the passenger seat set up since 99% of the time its just going to be me going to work.